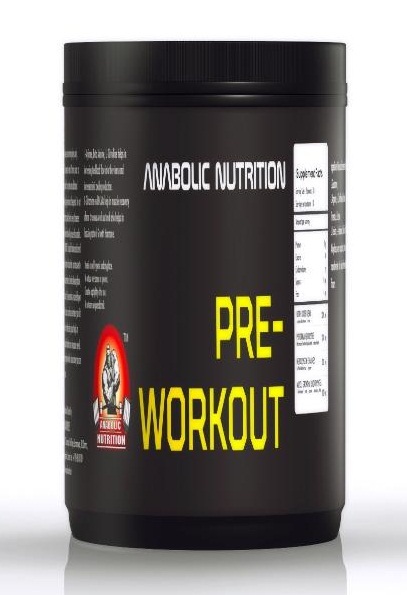 ANABOLIC NUTRITIONS SLIM PRO is a meal replacement product infused with herbal fat burning ingredients. it helps you in skipping your regular high calorie meal and provide your body the essential nutrients. And the amazing herbal fat loss ingredients increase your metabolism and ignites the fat loss process. INGREDIENTS : Skimmed Milk Protien, Whey protein concentration, Vrikshamla, Gokshura Seed,Chaha (Green Tea), Maltodextrin, Asvagola, Guar gum, Cocoa Powder, Artificial Flavours, Vitamins, Minerals, Digestive Enzymes, Papain, Amylase and Preservatives. SUGGESTED USE : Take 1 Scoop (3 Table Spoons) of ANABOLIC NUTRITION’S SLIM PRO in a glass, Add little cold milk or water and mix until it forms a smooth paste. Then add more milk or water to make it a 200 ml delicious shake. BEST USE : Take 1 Scoop of ANABOLIC NUTRITION’S SLIM PRO before Breakfast Lunch & Dinner. ANABOLIC NUTRITION’S SLIM PRO can be consumed when ever you feel hungry . ANABOLIC NUTRITION’S SLIM PRO is a meal replacement which helps in losing weight. NUTRITION’S SLIM PRO consists of sustained release proteins and it consists of low glycemic complex carbohydrate and lots of fibre. The fibre in slim pro clogs your intestines which makes you feel full and you wont feel hungry. Taking this product before your meal or replacing your meal with this product helps you in loading lesser calories than your regular meal. 1 serving of Nutrition Slim Pro accounts to less than 110 calories. By in taking lesser calories, your body will utilize the calories stored in your body(fat). Thus you will burn off those extra calories and loose fat weight. 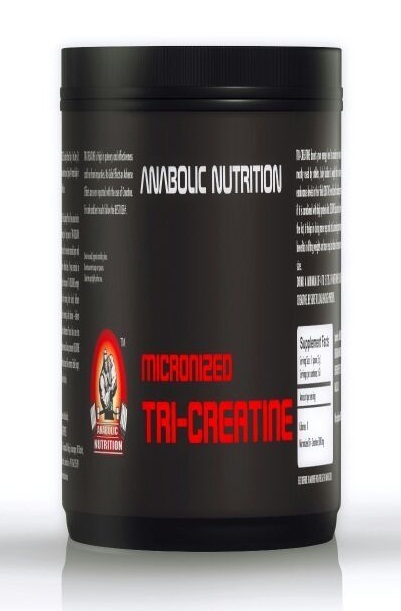 The proteins in this product helps you in maintaining you muscle quality and size. The fat burning ingredients Vrikshamla, Gokshura, Chaha (green Tea) makes sure you burn only the fat and not your muscle. All the ingredients used in this product have a very low glycemic index and thats why you feel full and less hungry. VRIKHAMALA : VRIKHAMALA is popularly know as Garcinia Cambogia. The extract from its fruit and rind is very popular in natural weight loss products. The extract called is hydroxycitric acid (HCA) which helps to suppress appetite and enhance fat burning. HCA blocks fat by inhibiting the efforts of citrate lyase, an important metabolic enzyme. This is one of the reasons that Garcinia is so successful as a weight loss supplement. By interrupting the metabolic process, hydroxycitric acid slows the conversion of carbohydrates into fats. It allows halts fat storage. This is one of the chief benefits of Garcinia cambogia extract. GOKSHURA : Its botanical name is Tribulus terrestris. Tribulus, in modern day, is used for body building, to increase natural testosterone production.Tribulus is a testosterone enhancer that leads to the production of the luteinizing hormone (LH). When LH levels are increased, the natural production of testosterone increases. lean muscle building or cutting off the extra fat is possible by using this ingredient. ASVAGOL : Nutrition Slim Pro also known as isabgol. Fighting hunger is a big challenge while on a weight loss diet. Isabgol helps in reaching satiety. It makes you feel full. And also helps in cleaning the gut. While on weight loss, the body seems to be producing a lot of waste products due to the fat burning process. The sudden increase in intake of raw foods may be a little heavy on digestion and may cause constipation and flatulence. Nutrition Slim Pro is important to clear this waste from the body to remain healthy and feel fit. Taking Isabgol every day will help in weight Loss. The soluble fiber in Isabgol helps in reducing cholesterol from blood. It forms a gel with the excess cholesterol and fat in the gut and eliminates it with the wastes in the body. Not only does Isabgol eliminate the excess fat, but it also helps by reducing the absorption of fat by the intestinal walls. If you intake 1000 cal/day and burn 2000 cal/day,you will burn 1kg of fat in 10 days if you intake 1000 cal/day and burn 2000 + 800 cals/day( with workouts), you will burn 2kg fat in 10 days. Burning 1000 cals/day= burning 100 gms of fat/day * (1gm fat= 9 cals). Note: Store in cool, hygienic and dry place. Do not use wet scoops or spoons. Close the cap tightly after use. Do not store prepared drink. Some setlings of content may occur during transit. I have burn my fat and get lean body in 1 month by this Anabolic Slim Pro and Its a meal replacement protein, After taking this protein, reduced my eating also. Very good protein for who are willing to burn their FAT. Its a very good protein who are willing to loose their weight… I am using this, since 2 months, seen good results. I have tried some other brands to lose my weight but not seen much difference, finally i am satisfied with Anabolic Slim Pro. Good Flavors, Faster Results and Reasonable Price. This product is really awesome, I have seen the results very fast in 1 month time my weight has reduced 4 kgs. It’s also meal replacement product. Dear Anabolic, Thank you so much for helping me change my life. Slim Pro is helped me to reduce my weight, amazing results and available in different flavours. I like this product. Good price. It has natural ingredients. Faster results, Once you try this Anabolic Slim Pro Protein, I hope you will love this, after seeing the results. Best Fat Burner Protein in the Market. I have been using this protein from last 6 months, I was not expected the results what I am seeing in my body now. Really shocked. When I was started using this protein, my weight was 94 kgs, Present (After 6 months) my weight reduced to 67 kgs, Almost 27 kgs in 6 months’ time. I strongly recommend this protein. Skimmed Milk Protien, Whey protein concentration, Vrikshamla, Gokshura Seed,Chaha (Green Tea), Maltodextrin, Asvagola, Guar gum, Cocoa Powder, Artificial Flavours, Vitamins, Minerals, Digestive Enzymes, Papain, Amylase and Preservatives. The extract from its fruit and rind is very popular in natural weight loss products. the extract called is hydroxycitric acid (HCA) which helps to suppress appetite and enhance fat burning. HCA blocks fat by inhibiting the efforts of citrate lyase, an important metabolic enzyme. This is one of the reasons that Garcinia is so successful as a weight loss supplement. By interrupting the metabolic process, hydroxycitric acid slows the conversion of carbohydrates into fats. It allows halts fat storage. This is one of the chief benefits of Garcinia cambogia extract. its also known as isabgol.Fighting hunger is a big challenge while on a weight loss diet. Isabgol helps in reaching satiety. It makes you feel full. And also helps in cleaning the gut. While on weight loss, the body seems to be producing a lot of waste products due to the fat burning process. The sudden increase in intake of raw foods may be a little heavy on digestion and may cause constipation and flatulence. It is important to clear this waste from the body to remain healthy and feel fit. Taking Isabgol every day will help in weight loss. The soluble fiber in Isabgol helps in reducing cholesterol from blood. It forms a gel with the excess cholesterol and fat in the gut and eliminates it with the wastes in the body. Not only does Isabgol eliminate the excess fat, but it also helps by reducing the absorption of fat by the intestinal walls. Guar gum, also called guaran, is a galactomannan polysaccharide extracted from guar beans that has thickening and stabilizing properties useful in the food, feed and industrial applications. The guar seeds are mechanically dehusked, hydrated, milled and screened according to application. Maltodextrin consists of D-glucose units connected in chains of variable length. Maltodextrin has 4 calories per gram — the same amount of calories as sucrose, or table sugar. Your body can digest maltodextrin quickly, so it’s useful if you need a quick boost of calories and energy.